Earlier this year the Anchorage Assembly nixed a ballot initiative to cease fluoridating its water supply. Despite setbacks, activists there vow to keep the effort alive. Juneau grappled with the question over fluoridation a decade ago and people’s views remain the same today as they were 10 years ago. Critics don’t see it that way. It all began when Juneau’s Public Works Department quietly ceased fluoridation in 2003. After this came to light, dentists urged the city to put fluoride back in the water. Faced with a deeply divided public, the Assembly appointed a six-member fluoride commission that spent two years studying the question. Bruce Botelho was Juneau’s mayor at the time. “The long and short is the panel was divided 3-to-3,” Botelho said. Faced with that impasse, the Juneau Assembly voted to keep fluoride out of the water. Botelho said that documented cases of fluorosis in other parts of the country — in which excessive fluoride levels can lead to pitted tooth enamel — swayed a number of Assembly members. The American Dental Association bankrolled a ballot initiative to overturn the Assembly’s decision. The Juneau Empire reported what it described as a “stunning amount of campaign spending” by the national group which bought TV and radio spots. 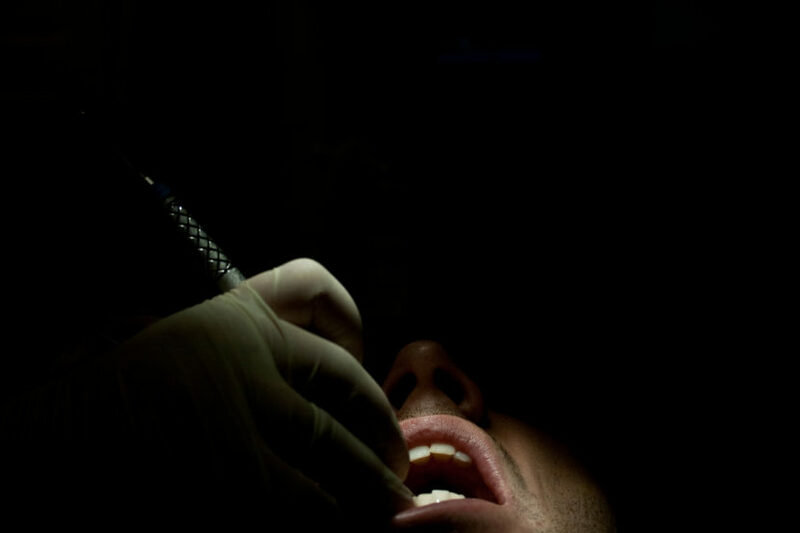 Botelho said the dental association’s pro-fluoride push was heavy-handed and tone-deaf. Despite dentist groups greatly outspending critics of the pro-fluoride initiative, more than 60 percent of voters rejected fluoridation. Dentist groups say fluoridation is a critical tool to fighting tooth decay. So this begs the question: More than 10 years have passed since fluoride was pulled from the water. Has tooth decay worsened? Juneau’s dentists seem to think so. Davis Logan is a former Juneau-based dentist and current head of the Alaska Dental Society in Anchorage. Ten years ago Kristen Schultz headed the Juneau Dental Society. She’s convinced that tooth decay is rising among her patients 15 and younger. Schultz ran some numbers based on available records from the past 10 years. The amount of cavities she’s drilled out has risen over time. But her sample is small and she admits, unscientific. Brad Whistler said more complete data doesn’t exist. He’s inclined to agree with fellow dentists. “But as far as having hard data to measure that there’s been a change, we didn’t even have base line data on these communities to even know what it was prior to going off fluoridation let alone having the ability to go in each year and assess if there were changes in dental decay,” Whistler said. Skeptics aren’t likely to be won over. The issue in Juneau seems decided — at least for now. That’s because dentists aren’t eager to reopen old wounds. Since Juneau dropped fluoride, the cities of Fairbanks and Palmer have followed suit. And activists in Anchorage continue to push for Alaska’s largest city to cease water fluoridation.